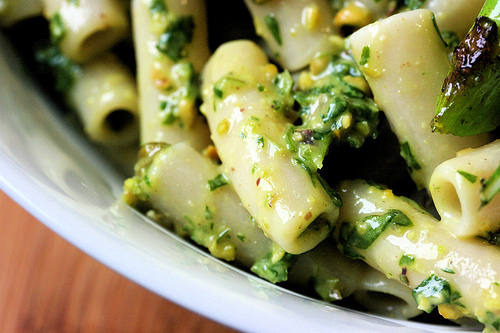 Combine basil, garlic and nuts in a food processor and blend to a smooth paste. Lightly sauté with the olive oil and it is ready to serve. Olive oil should not be brought to high heat or the nutritional benefits become detriments. Learn more with Pura Vida Nutrition.